You save £16.00 that's 35% off! 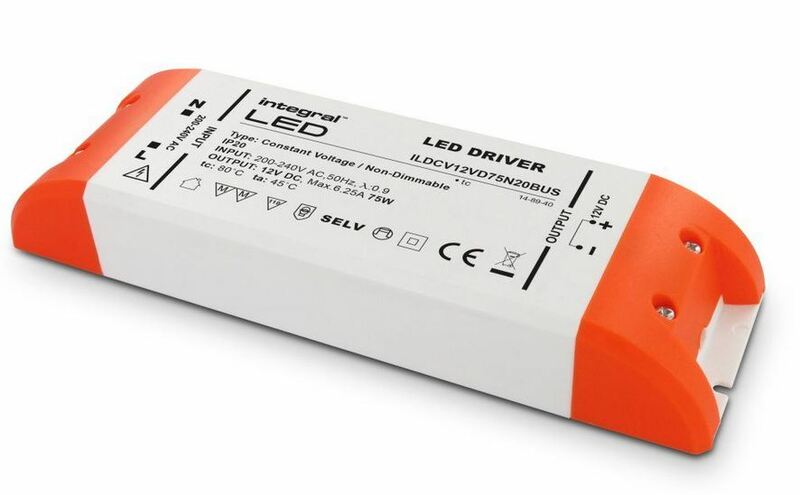 This driver is perfect for low voltage 12V lighting such as strip lighting, light tape, MR16 and MR11 bulbs. LED lighting traditionally requires a constant voltage and current to function correctly. Traditional transformers use an alternating current which is not suitable for most LED bulbs. The driver converts mains electiricity at 220 - 240V AC into 12V DC (direct current) at a maximum output of 75W. Typical applications would be powering a led stip light that is 10 meters long. (typically 7Watts per meter ) alternatively this product could be used to power 15 MR16 (5W Max) bulbs when connected in parrallel. It is important to check the power consumption of the light or bulb and multiply this by the quantity to make sure the driver is suitable. If after your calculations the power required is greater than 75W we would advise choosing a higher powered product or combining with another transformer.